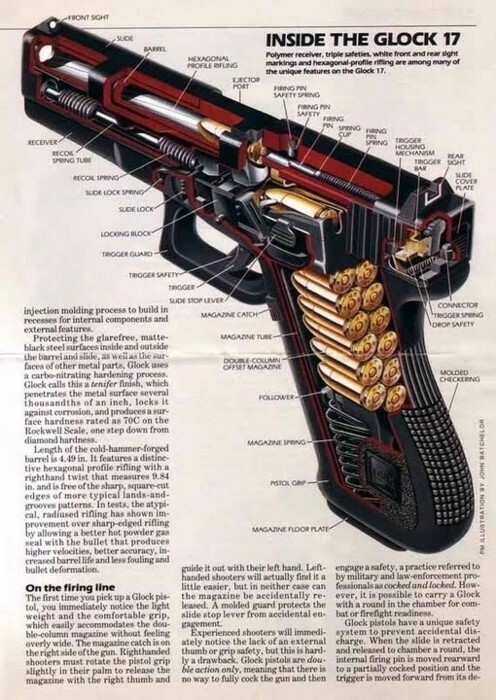 Inside cut away view of the Glock 17 9mm pistol. Glock completely disassembled and labeled to show each individual part. 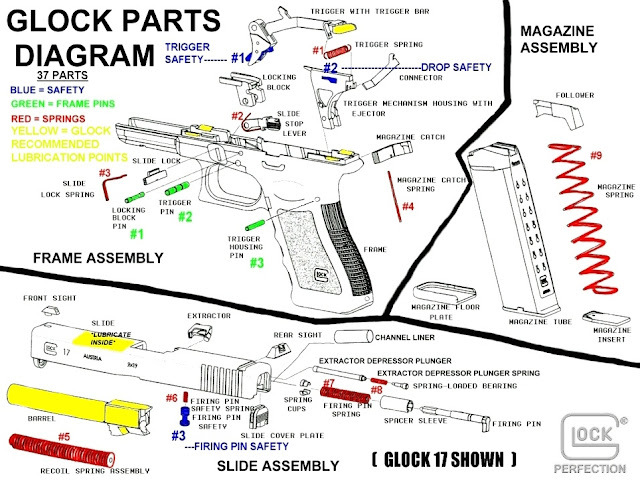 Glock pistol parts diagram color coded, showing frame pins, springs, magazine assembly, and lubrication points. Hello , Can we support you with our pistol sights and scopes ?